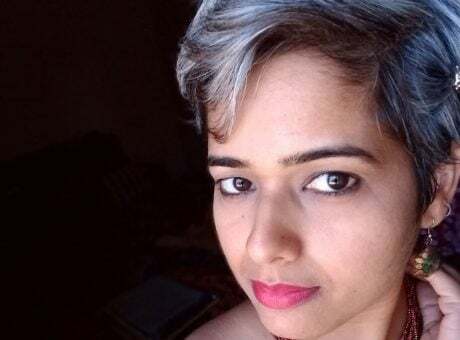 Are you thinking about ditching the dye and embracing your grays? 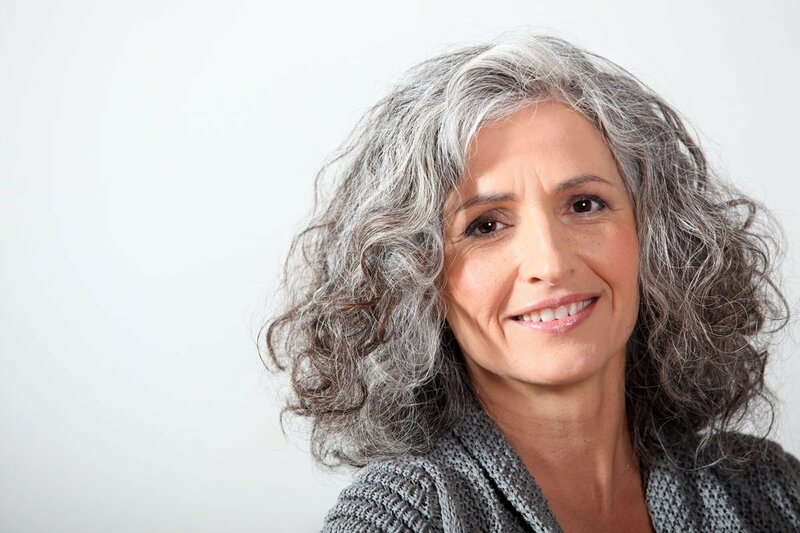 There are various ways to transition to your natural gray hair, and all of them have advantages and disadvantages. 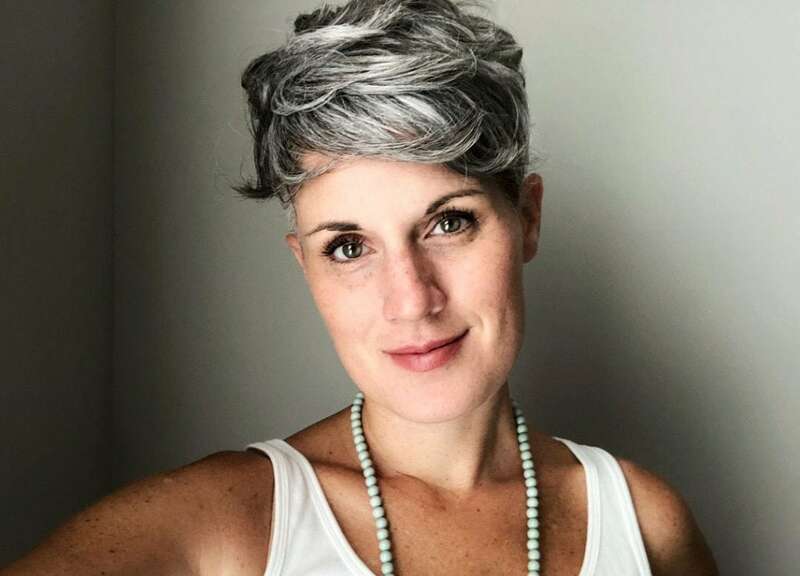 I see many women in the Facebook Gray Hair support groups fretting about not “going gray the right way.” It’s often the women who have used salon methods (like gray blending), who worry that they have somehow cheated. But there is no wrong way to go gray. You have to do what works best for you: for your pocketbook, for your emotional well-being, and for your health. 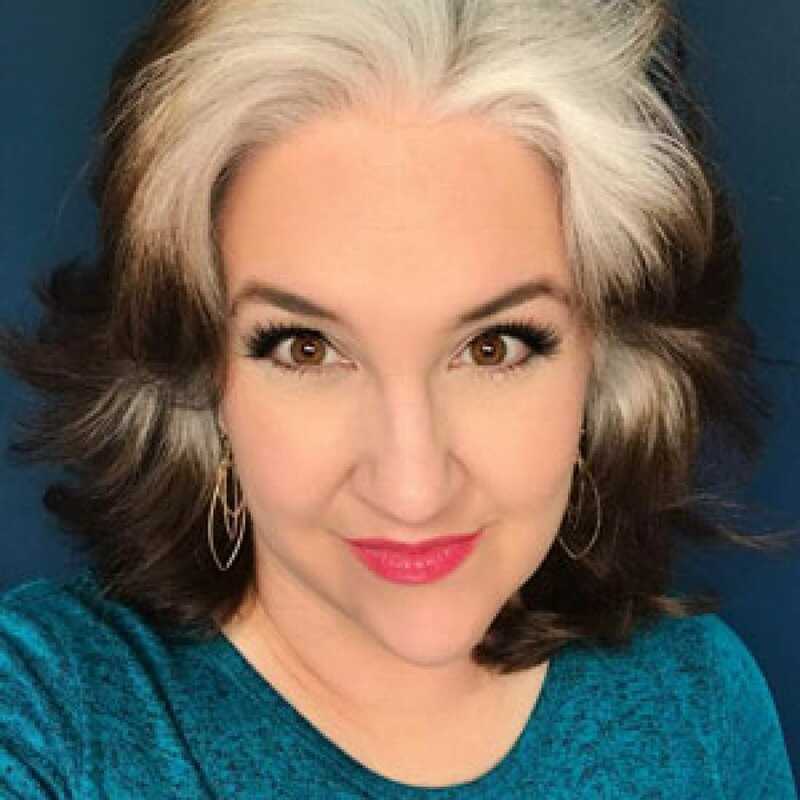 Obviously, the easiest way to transition to gray is to never dye your hair, but, for many of us, it’s too late to go that route, right? According to some statistics, 75% of women dye their hair, leaving only 25% who never color. The advantage to never dyeing is that you don’t have to go through the gray hair grow out process. It’s also free! I can’t think of any disadvantages, except that you would miss out on the fun of coloring your hair. And it must be said – when you’re coloring your hair to express your personality, it is fun. When you are coloring your hair every two weeks to cover your gray roots? Not so much. Please be aware that there is really no easy, cut and dried way to go gray. All of the methods have advantages and disadvantages. Some are free, and some are expensive. Some are faster than others. My best advice? Choose the method that best suits your temperament. What does it mean to go gray cold turkey? It means just letting your gray hair grow in, and (except for the occasional haircut) leaving it alone. 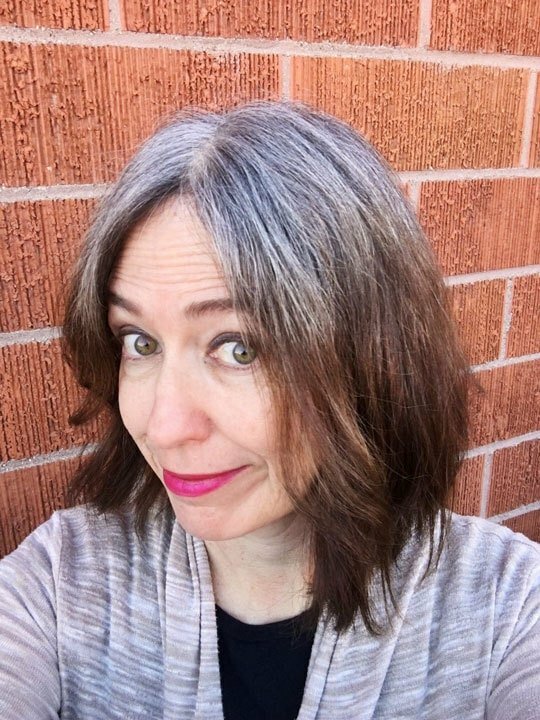 Going gray cold turkey is cheap, chemical-free, and is the preferred route for many dark brunettes (like myself) because it avoids the damage associated with highlights/lowlights or other salon methods that involve bleaching the hair. 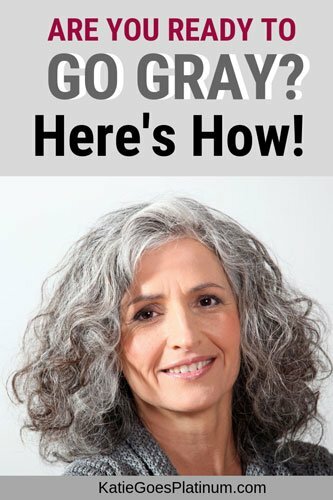 It is also the method that freaks a lot of women out because we’ve been conditioned our whole lives to cover gray hair (thanks, ad agencies!). Walking around in PUBLIC with several inches of gray roots showing can seem daunting at first, to say the least. Going cray cold turkey with medium length hair can take a while. The average length of time seems to be around 20 months. So you have to decide: are you willing to wait that long, or do you want to have a quicker transition? The quickest way to transition to gray cold turkey? Get a buzz cut! I have seen some very beautiful buzz cuts on silver-haired women. One of my favorites is Theonita’s. 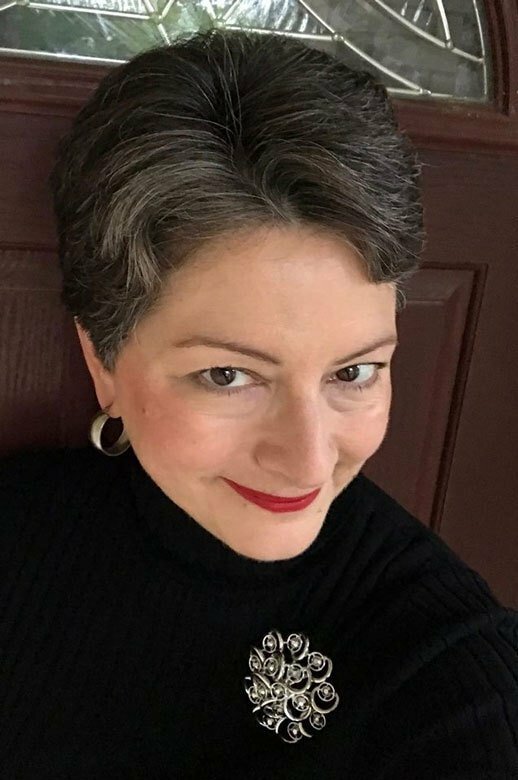 She buzzed all her hair off to go gray… and after a while, she grew it long again. 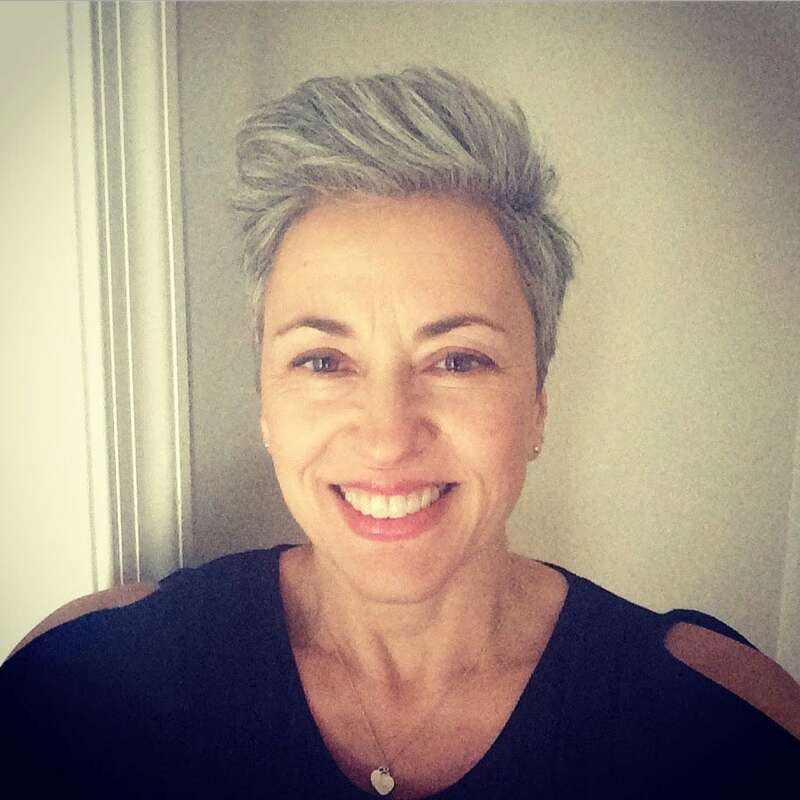 Buzzing your hair off is a dramatic way to go, but if it suits your personality, go for it! The only disadvantage I can picture is that it might be a shock to “go gray” overnight. If you want a quick cold-turkey transition, but don’t want to buzz off your hair, consider getting a pixie cut. 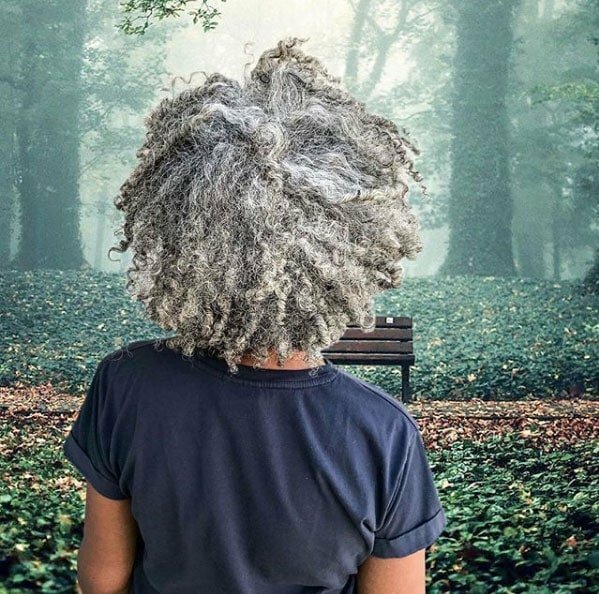 You could be done with your gray hair transition in 3-6 months, depending on how short you go! 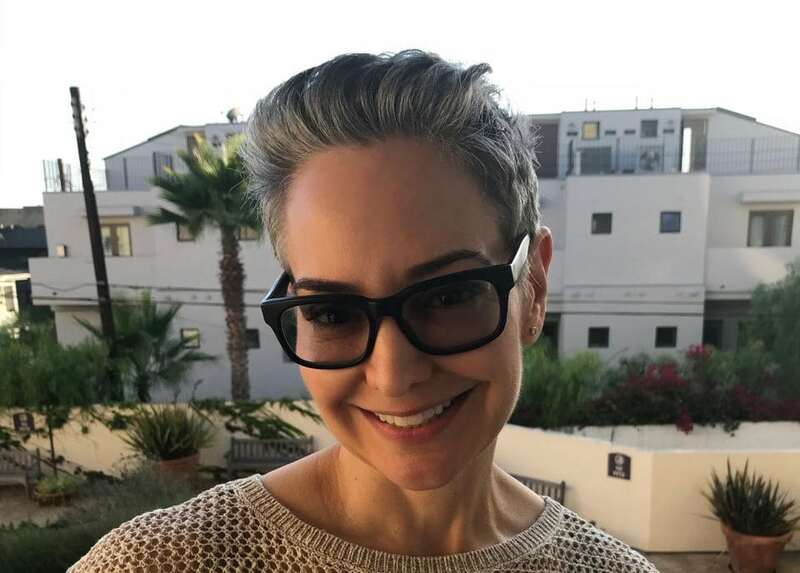 If you do not like yourself in short hair, or if you would freak out going gray too quickly (that’s me! ), you can totally keep your hair long! Personally, I really was invested in my identity as a green-eyed, pale brunette. I could not IMAGINE myself with light hair. So, I colored my hair for 25+ years. 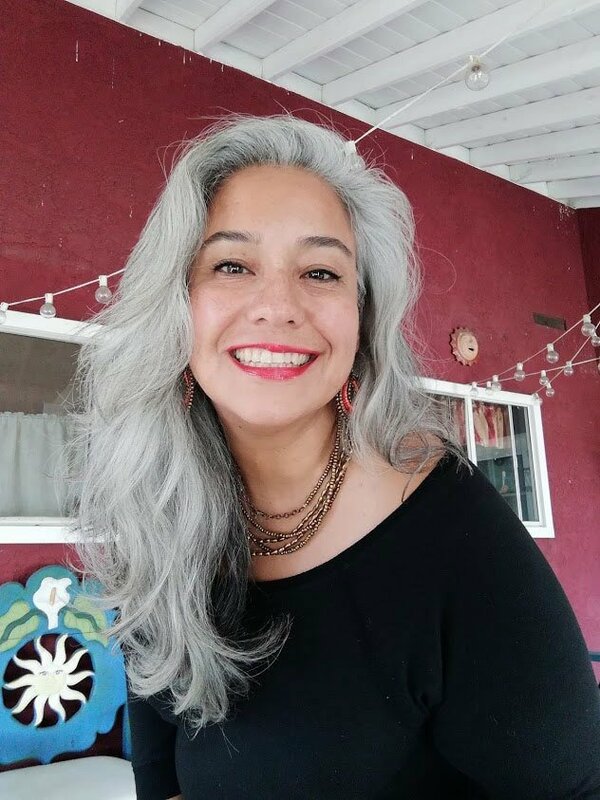 Cutting my hair short and going gray quickly would have been very traumatic for me. So, I chose to go gray cold turkey with longish hair. I was worried about looking nutty with multi-colored hair, but I got over that quickly. It has actually been fun watching my hair turn all different colors, and I now see the beauty in transitioning hair. 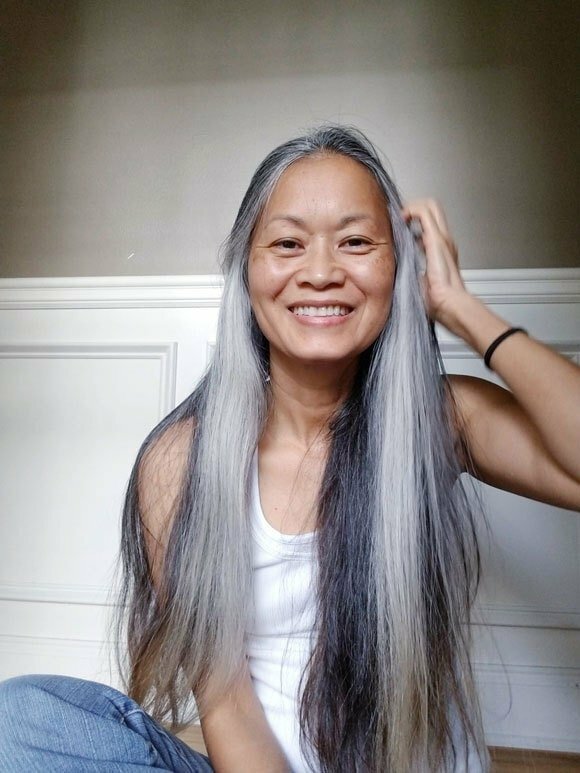 Going gray with long hair is also a good route to go if you find that you are really enjoying the gray hair transition. It’s fun to watch your hair change color over time, and it’s a really good exercise in patience and introspection. It can take a long time if you want to keep your hair long. I’ve seen women in my Facebook groups who have taken anywhere from 1-3 years to get rid of all the dye, depending on the length of their hair. The first 2-3 months of your transition, you will have a demarcation line where the dye meets the gray hair. However, your dye will fade and the line will be less obvious as time goes on. If you have darker hair, you might end up with calico hair for a bit. I don’t see this as a con, but many ladies do! If you decide to go the cold turkey route, check out my post “How to Make Your Cold Turkey Hair Transition Fun!” for tips & tricks. I don’t have first-hand experience with Option 3 but have seen both pro & con arguments listed in the gray hair support groups. The 3 salon transitioning routes seem to be: Balayage, Highlights and/or Lowlights, or Grey Blending. 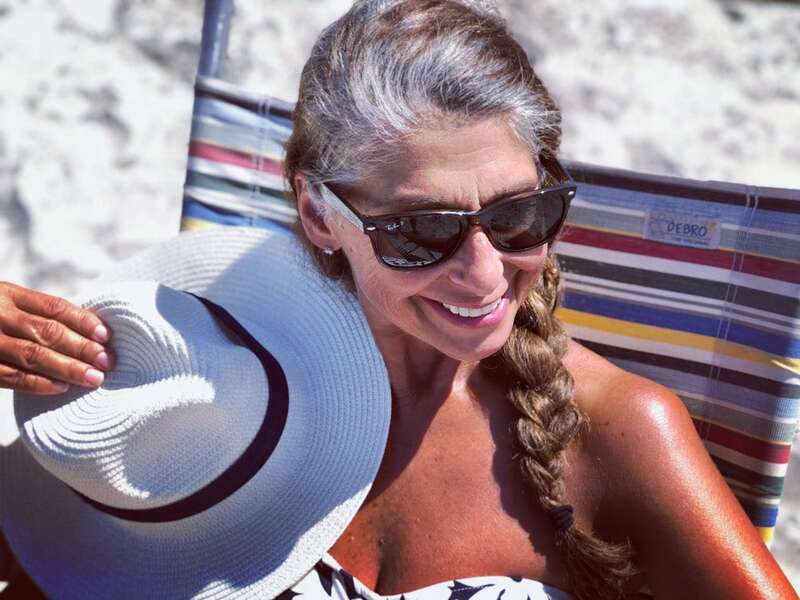 For definitions of those terms, check out my post: A Gray Hair Glossary. The biggest pro about doing a salon method is that there is no awkward grow-out period. The biggest cons to the salon methods are that damage can occur to your hair (this seems to be more of an issue for dark brunettes), and they can be expensive. 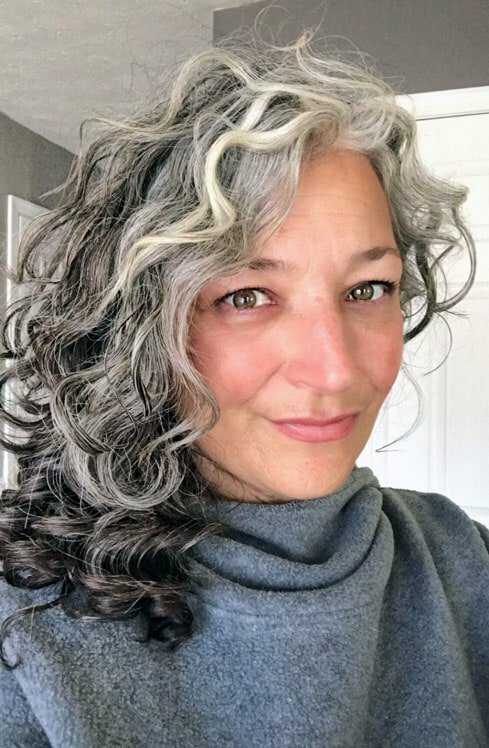 Check out these Silver Hair Transition Stories of women who have used salon methods to go gray (or a combination of cold-turkey and salon treatments). Click on their images to go to their stories. 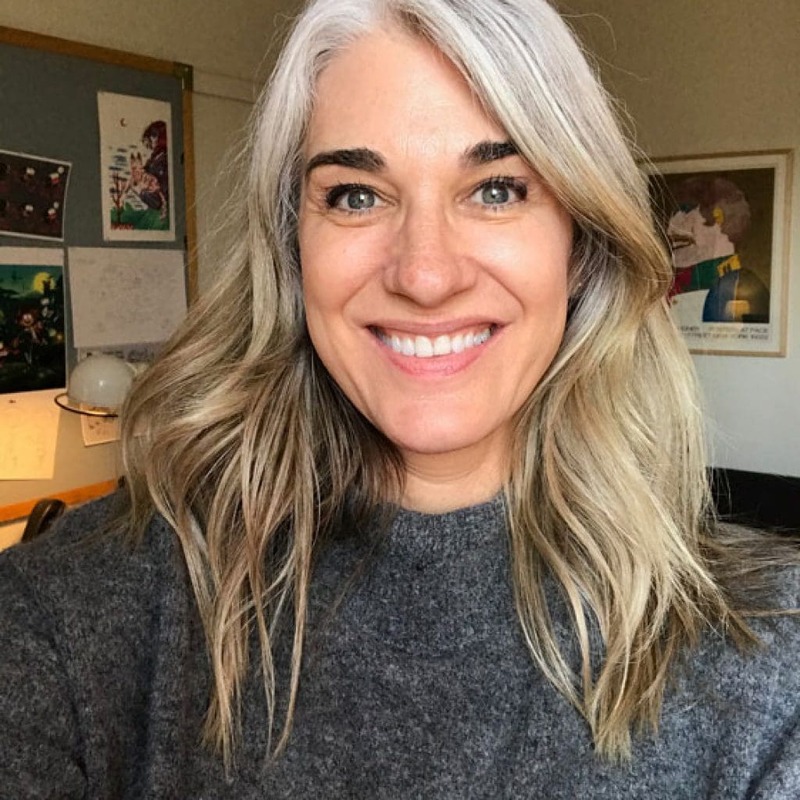 Need more guidance on what route to take to silver hair? 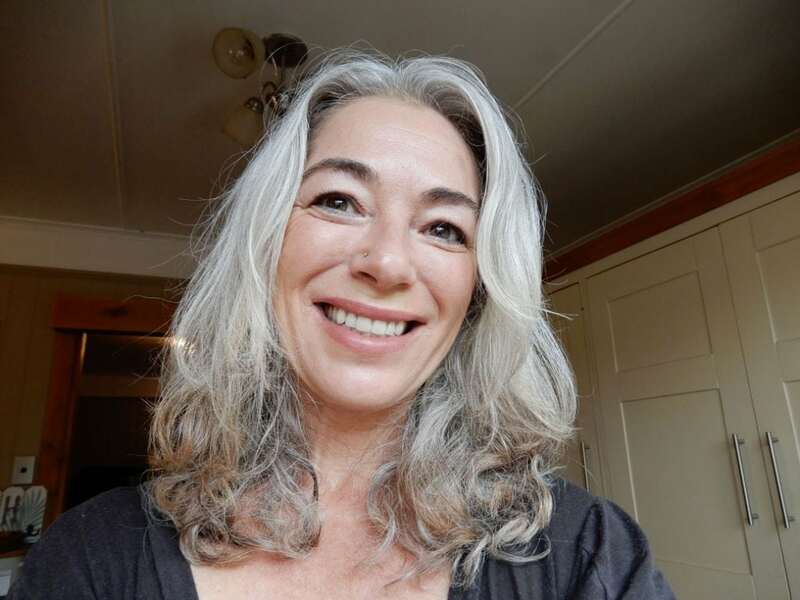 Please take a look at Lorraine Massey’s book Silver Hair: A Handbook – my BFF gave me it to me as a gift once I announced my intention to gray. Massey’s book has excellent tips & advice, plus a lot of inspirational photos. 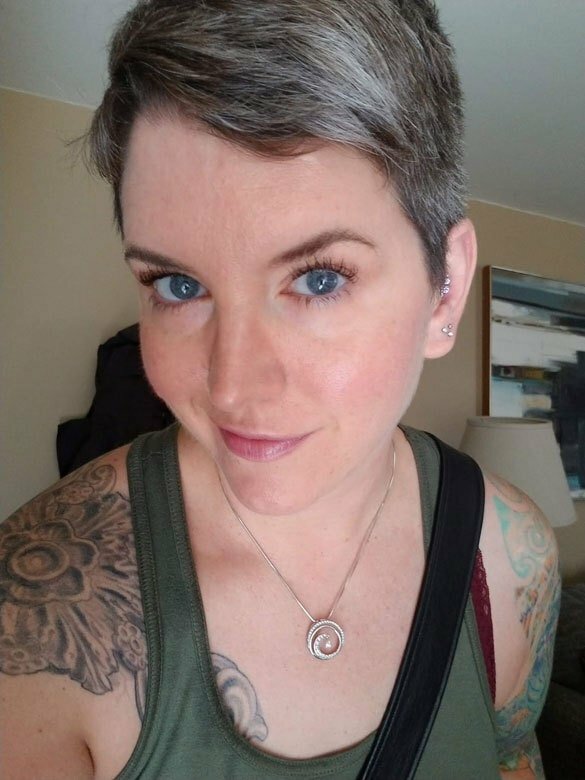 Gray Hair Transition: Don’t Do What I Did! 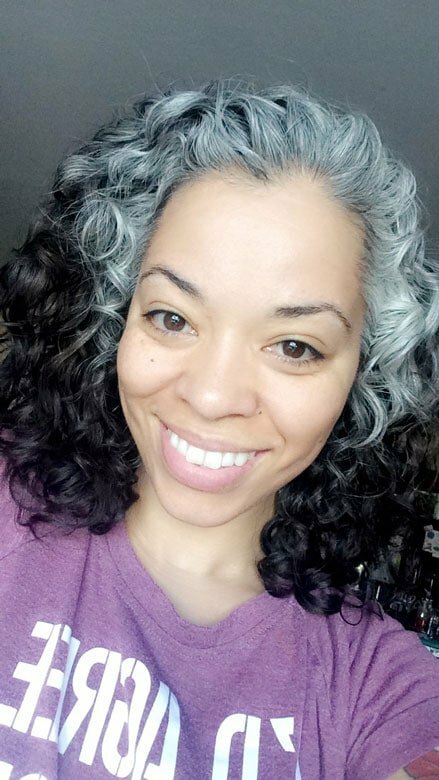 How do you Transition from Dyed Hair to Your Natural Grey? Just remember, in the end, it is up to you. 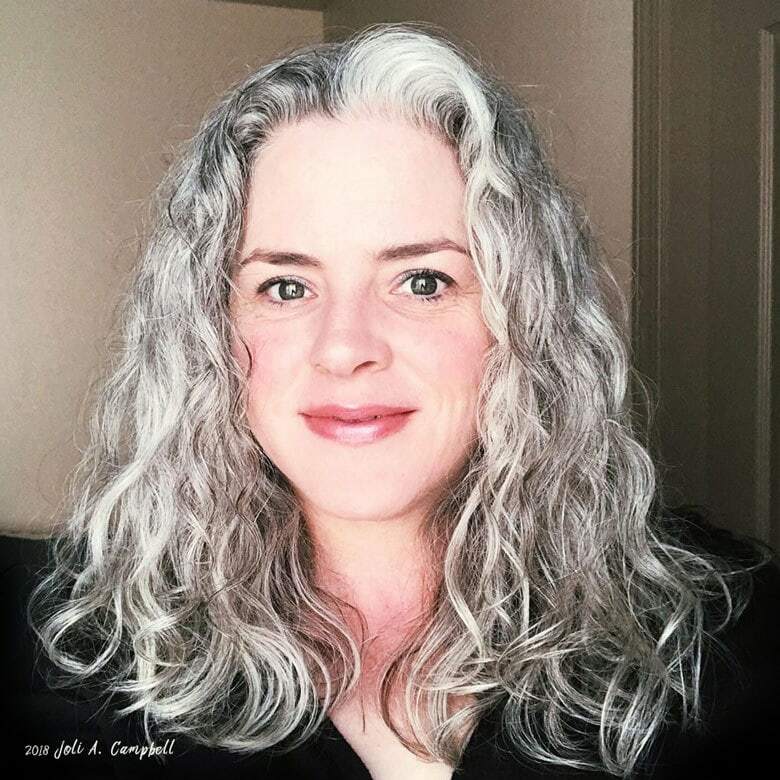 How do YOU want to go gray? 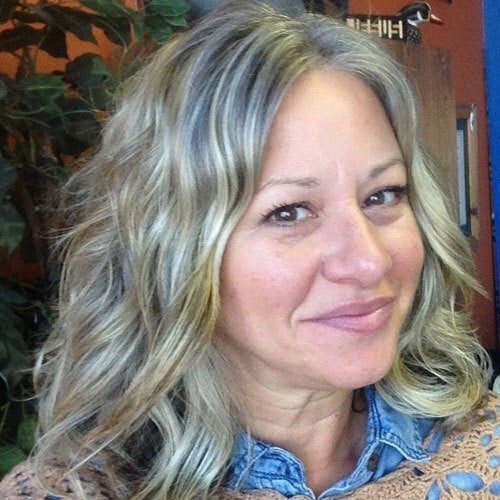 I just bought a new 2019 L’Oreal dye kit – Soft Silver Blonde. Do you know anyone who used this to transistion. I currently use a medium ash blonde. 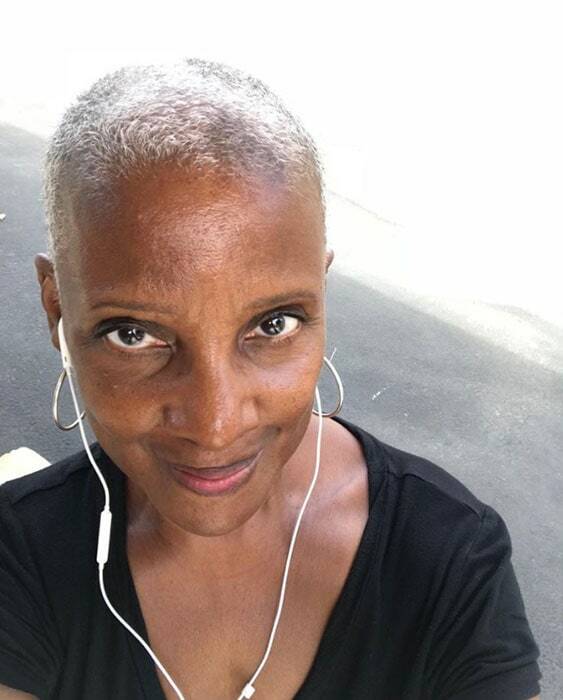 All the models who have let their gray hair grow out have cool skintones & gray hair look fabulous on them. 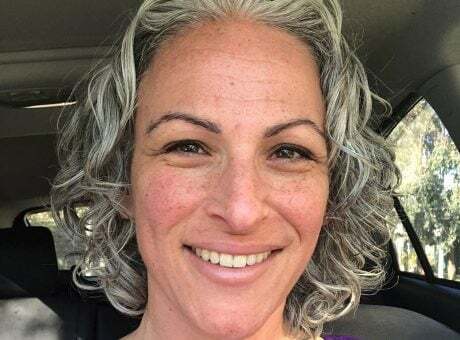 What about ordinary women with warm skintones & warm hair, who dye their hair brown because if they grow out their gray hair, it will clash with their skin tone. 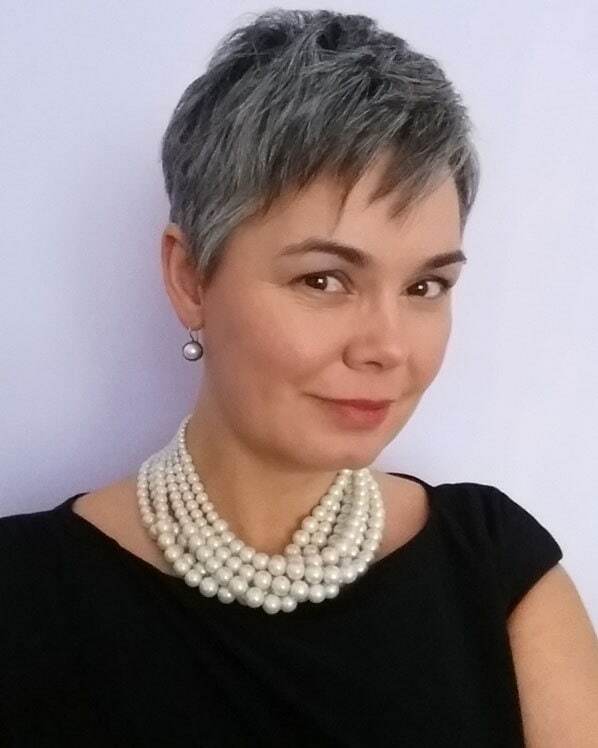 Gray hair is blue-based & suits cool skin tones. Please answer ! Hi, Dee: Have you checked out the post Gray Hair: Before and After? You’ll see a variety of different skin tones there. Also, check out Mireya’s transition. She has beautiful warm skin. I know a lot of women with warm skin are concerned about what colors to wear, etc. Some people say that you should go with whatever looks best with your hair color; others say whatever looks best with your skin tone. It’s confusing! I will keep looking into this for you. Alexandra – my hair like yours. I found that out in the 1980s when i tried to bleach a section of it and it turned bright orange! The hairdresser said that was as light as it would ever get! 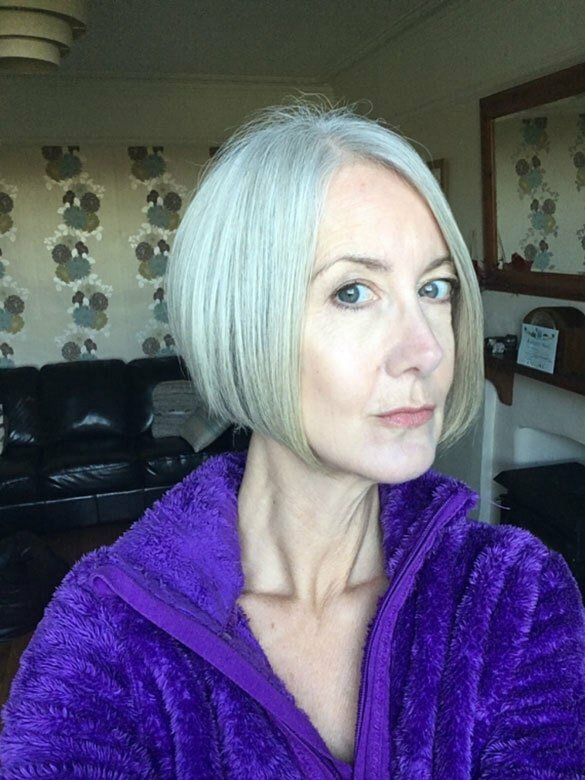 In any case, I’m loving going cold turkey – it gives you time to get used to having silver hair! Re: being called “brave” – it rubs me the wrong way. It’s not like I’m a fireman!